This is my first knitted shawl. It's actually more like a shawlette than a full shawl. If you want to make your own you can find the FREE pattern here. It was a really easy pattern to follow and it's FREE. I would have said I was a beginner knitter before attempting this. It definitely helped me learn new stitches, if I was stuck with anything all I had to do was go on Youtube and I had it sorted in no time at all. 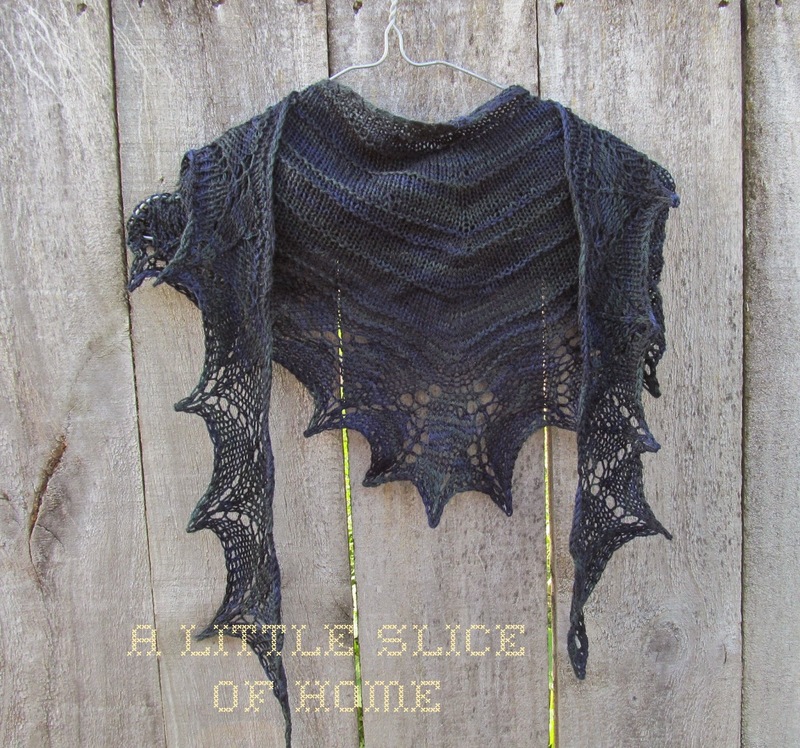 So if you want to attempt your first shawl I would recommend this pattern. I used a 4 ply merino yarn and it turned out so soft. This shawl is to be a gift and I am sure she will absolutely love it. I almost want to make another one for myself. Check out my Family Gift Hamper Here.